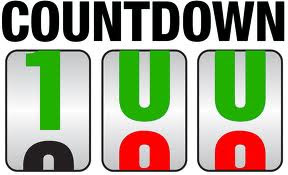 For those of you that follow me on Facebook you will no doubt be aware that I am counting down the 100 days to the Norfolk County Council elections by posting something relevant each day, it's a bit like an advert calendar for the election - but with no chocolate as your reward! I think most people have found it quite interesting so far. I will collate the Facebook posts in groups of 10 and post here on this blog for you to see, so here's days 99 - 90.
just 98 days to go until the Norfolk County Council elections..... there are two County Council seats for Thetford, do you know which one you live in???? Thetford-West is the whole of the Barnham Cross area South of the river, running up and including Redcastle Estate, over the river to include Abbey Estate, Monksgate area, Liberty Gardens and Ladies Estate - and everything in between all of those areas - it's a huge area, approximately 8-9,000 voters - can I count on your support? 96 days until the Norfolk County Council elections; do you know where your polling station is in Thetford? There's 9 in total! 95 days to go until Norfolk County Council elections; today I've been with Labour colleagues from across Norfolk discussing everyone's priorities for the upcoming election- what do you think should be the priorities for Thetford that myself and Brenda Canham fight for should we be elected??? Let us know!! 90 days to go until the Norfolk wide elections; do you know who your current Norfolk County Councillor is?? ?